I could hear birds in the background. Maybe even a crow (around 1:30). It seems that this video was taken near sunrise or sunset, judging by the shadows. Sandy-type soil lacking in humus (lacking in decayed compost type material and soil microorganisms). Spring has not yet sprung. Yes, I wondered if that distant caw was a crow or raven. Years ago, I was driving down our country road and saw a large, dead black bird tossed by a dirtbag neighbor’s trash bins; it had been shot! Longing to settle my own curiosity as to which gregarious species frequented our landscape, crow or raven, I loaded the carcass into the back of my vehicle, took it home, measured its wingspan, noted its specific markings and compared my findings to my collection of native bird books: it was a Chihuahuan Raven. Heartbreaking. James, I’ve not used bitchute before… watching your video it kept hanging. I’m on a corporate connection and don’t ever have bandwidth issues, so is this something that goes on with bitchute? I, like you, would like to detach from Google, but the convenience is difficult to replace. Especially the search for email. Completely leaving YT is not about “convenience” it’s about “commitment” to freedom of speech and expression for everyone. The focus for those of us that have left (years ago) is to show we value free speech and we refuse what is clearly fascist behavior by corporate YT and their overlords. Every time you use YT you are voting, through your clicks, FOR YT’s behaviors and giving them money to continue. You are agreeing that what they are doing to free speech is right/correct. Basically, you are supporting their Draconian policies and the chiseling away at free speech. This goes right over the heads of some. I’ll just fix that logo for you. I’d use BitChute exclusively if it weren’t for the constant hang up’s, as mentioned above. God! How many times does this need to be said to the stupid people? I DO mean stupid, too. If the subject was unknown because of simple ignorance it would be curable by accurate information–which is everywhere. Clearly, not knowing the score is not the case. YOU are not part of “YOU” TUBE any longer. James is being nice calling YT THEMTUBE. Accuracy would require it be called NaziTube. I have a son in prison and I like to send him transcripts and I do not see any for this video. Am I looking in the wrong place? If anyone wants to clean up, correct, punctuate and format any of these transcripts and send them in via the contact form I’ll be happy to post them here. I feel ya with your son. My son also was confined. We wrote lots of letters back-n-forth with many deep-seated ideas shared. The communication between us remains etched in our lives. He is a genuine caring guy, a fellow I would be glad to call a friend even if not related. 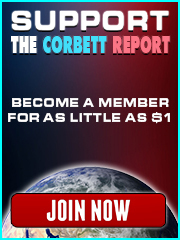 Would it be something that Corbett report listeners with skills could get together and make, If James approved? Obviously, not all features (like the forum) could be supported in an offline version, but it could still be useful as source of information that is nicely browsable. The devices could be placed near public places and people think of free WiFi like Free Beer. Your own server however seems to be faster. I have no more information about it other than the link, but it might be something to keep an eye on. At first, we will issue special invites to known content creators who are being heavily censored by YouTube. These will include people like James Corbett, Milo Yiannopoulos, Greg Hunter, SGT Report, Paul Joseph Watson and all the well known independent media content creators. YouTube terminated the entire Health Ranger channel (“TheHealthRanger”) without explanation over a week ago. Since then, the internet has expressed increasing outrage toward YouTube for blatant censorship of a channel with over 350,000 subscribers, 1700+ videos and over a decade of video content covering natural medicine, home gardening, laboratory science and liberty podcasts. In the latest assault on the freedom to think for yourself, YouTube CEO Susan Wojcicki has announced that YouTube will begin “correcting” controversial videos with “facts” from Wikipedia, an utterly discredited disinfo propaganda website run by pharma trolls who routinely demonize holistic medicine…. Why do they ban their own disinfo agents? Hi James, just wanted to mention, in an interview 7 march 2018 you were mentioned by Ray Vahey of Bitchute as one connecting the dots (question starts at about 4:55) – and part of inspiration/partial explanation why to start bitchute?? Today I clicked on “ThemTube.com” to see what they may “Recommend”. I was surprised. 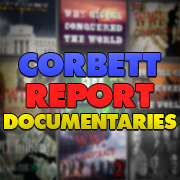 Corbett Report was there with a long line of videos including this one, as well as the RT Channel and also TruthStreamMedia. In the past, very few of these were “Recommended”.